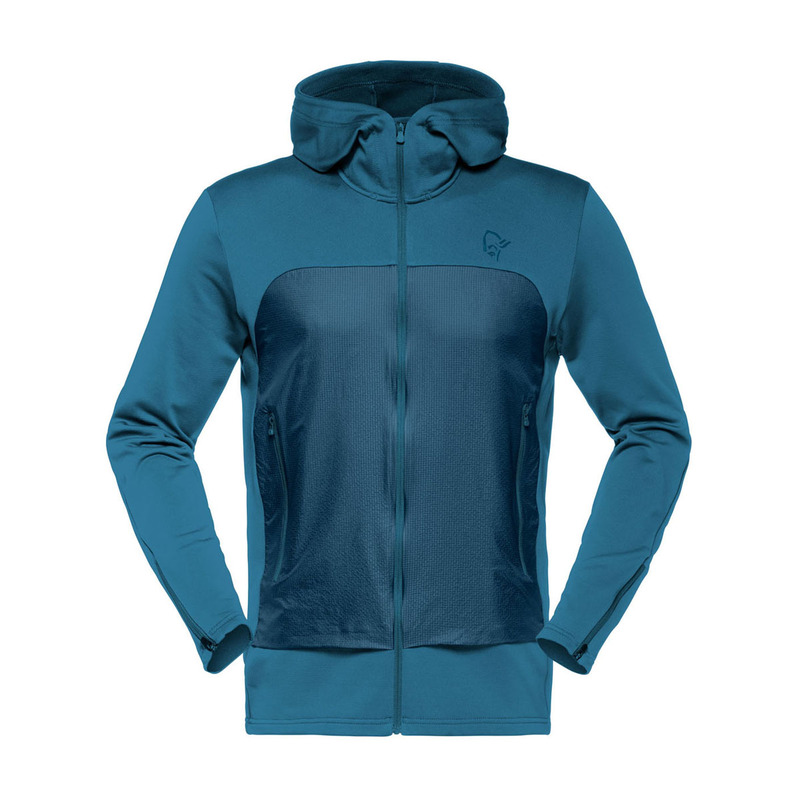 The Norrona /29 Warm2 Stretch Zip Hoodie is a lightweight, minimalist fleece for active and casual use. The Warm2 fabric, made from recycled polyester, provides a light level of insulation, high breathability, and moisture-wicking to suit high intensity activity. Features include a well fitted, weather protective hood, fabric in front for added windproofness, two large front pockets, and zipped sleeve adjustments. Weighing between 200 and 300 grams/m², these fleeces allow a good combination of warmth and moisture transportation. They provide more bulk and trap more air than Norrona's warm™1 fabric. Their unique constructions and structures are perfect for different types of activities, as they trap warm air without stopping moisture transport. When used alone, the fabrics are open enough to allow air to circulate, making you feel comfortable in milder conditions. Under a shell they provide excellent insulation values.